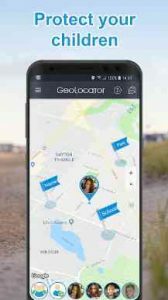 GeoLocator Parental Control : Parental Control & Child Safety Location + baby monitor by GeoLocator is the smartphone app that helps to monitoring your child movements every day, and helps informed of the locations. With Parental Control & Child Safety Location + baby monitor by GeoLocator you can see on the map where your child is. If you always want to find my kids, just install the app. Parental Control & Child Safety Location + baby monitor by GeoLocator is a hybrid self-learning system that prevents false alerts in places where GPS is not available. Parental Control & Child Safety Location + baby monitor by GeoLocator allows determining the location of a child with a maximum accuracy to monitoring the safety. Walkie Talkie. Turn your phone into a walkie talkie! 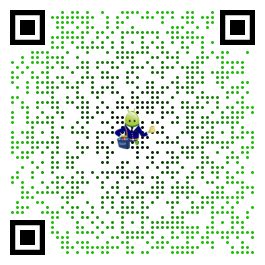 The new function works like a regular walkie talkie, but via the Internet. Conversations with the help of a walkie talkie are fascinating and almost as fast as real communication. All you need is an Android smartphone with the installed Parental Control & Child Safety Location + baby monitor by GeoLocator app. Who uses the Parental Control & Child Safety Location + baby monitor by GeoLocator app? Parents whose children aged 5—17 walk in the city streets to a kindergarten, school, etc. The Internet is required for transmitting location data and receiving notifications. Important! Your child should be aware of the installed and launched Parental Control & Child Safety Location + baby monitor by GeoLocator app on the device and should agree to be monitoring. Tip! We recommend you to disable notifications on your child’s smartphone to avoid distraction in school. The app consumes battery energy in an economical way so it can be used all day long, nevertheless, like any applications of GPS, the battery life decreases a little bit. If you always want to find my kids, just install the app. Your reviews are very important for us! This app will give you peace of mind, it alerts you when your child leaves or arrives home and give you a history of whereabouts, but the most refreshing thing is their customer service, really impressive. They reply immediately and follow up with you until the issue is resolved. Feature-rich and a pretty accurate GPS app to monitor my child. The notifications of the person leaving and returning to preset destinations is nice, though sometimes i receive false notices. I think i will have to adjtthe boundaries i set up in the app to fix that. Overall, I recommend. I sent you an email an hour ago. And I see you have already updated the app on both phones.